After the novelty of authentic Japanese food wears off (and it will), it’s beyond gratifying to chow down on anything that isn’t flavored by the sea, fried or rice. However; the rice at newly opened Sivam Indian restaurant in Yunogo is an exception because it comes with authentic Indian curry (cooked by Indian chefs) and ginormous as-big-as-your-torso naan. In addition; they have vegetarian options which are scarce in Japan. 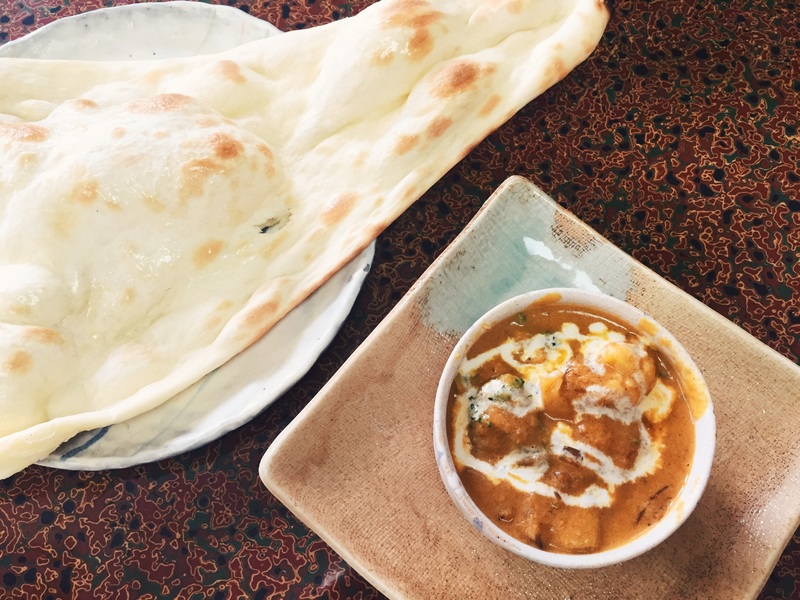 Pictured above is a set lunch option of vege curry and naan for a mere 750 yen (about $8NZD)! Sivam also sells adorable pottery, chopstick stands (in the form of edamame, broad bean, mushroom and chilli-pepper), house-made carrot dressing, chilli powder and mukhwas, a colourful indian after dinner snack or digestive aid. Definitely worth a visit if you’re ever in Yunogo. In fact, Yunogo is becoming one of my fave hangouts!